Urimai Lyrics from the movie Uriyadi 2 is sung by Govind Vasantha and the song has been composed by Govind Vasantha. The lyrics for Urimai song has been penned by Vijay Kumar & Nagaraji. The movie Uriyadi 2 is a Tamil language film which is directed by Vijay Kumar and includes Vijay Kumar, Sudhakar, Vismaya in the lead roles. 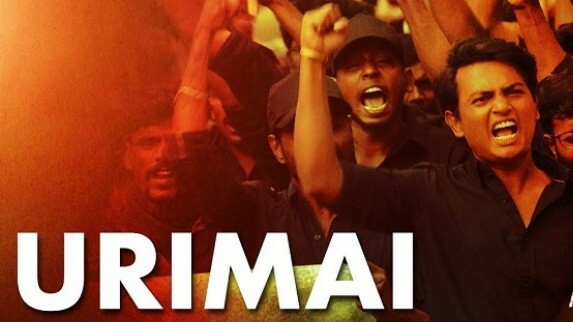 Stream the Urimai Song on Gaana. Stream the Urimai Song on Jio Saavn. Loved the Urimai Lyrics from the movie Uriyadi 2? Let us know if there is any mistake.